It is a big chance to indulge quiet love for chicken wings. Cut the wing apart into drumette and wing. Combine flour, cornstarch, Salt in a mixing bowl. Toss wings to coat. Bake until the flour is not white anymore. Flip the wings mid-way. Toss the hot wings in the sauce. Return to the oven for 10 Minutes. Cool a bit and serve! 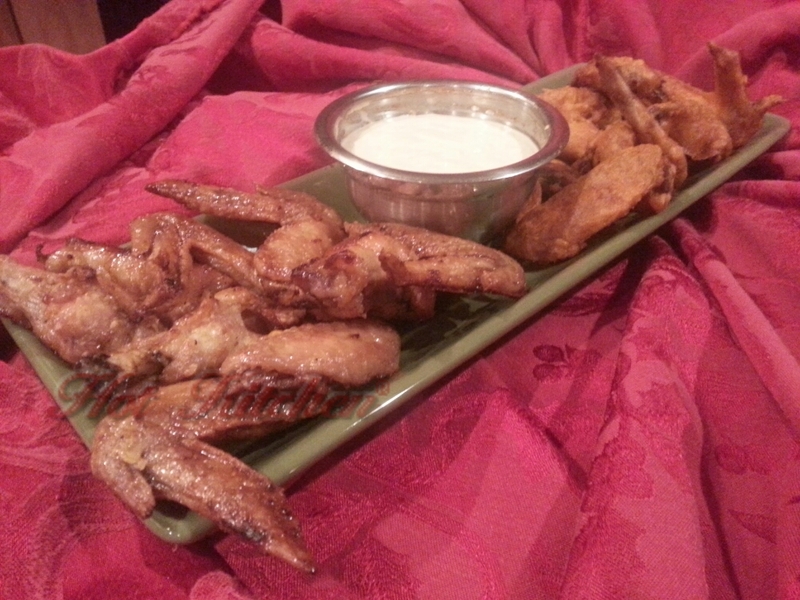 These wings are baked, not fried, but you’ll never miss the grease! Plus, the technique minimizes stickiness too! These wings can be made with any kind of sauce. The takeaway is the technique.. Cut whole wings into two pieces at the “elbow.” Dredge in seasoned starch. Toss in sauce. Bake to fuse sauce to wing! Questions? Send me an email at feedback@hotkitchenonline.com or leave a comment. If you are interested in booking a private event with me, please contact In Good Taste at 503-248-2015 or click here.